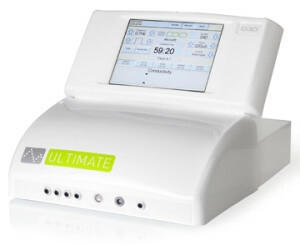 As the driving force behind the world acclaimed CACI non-surgical facelift system, CACI International has established a reputation as a leader and innovator in the electro therapy beauty field and the new range of treatment systems has set new standards in beauty treatment technology. Click here to download our full CACI Treatments Menu. 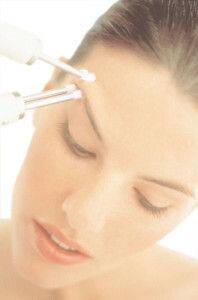 The Ultimate eye treatment includes microcurrent, crystal free microdermabrasion and LED light therapy. 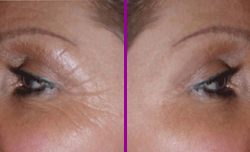 This treatment will lift and tone the muscles around the eye area, hydrate and plump fine lines, as well as reducing puffiness and dark circles, giving the area a brighter complexion. Hydratone uses an intensive, anti-ageing Hydro mask that will instantly rehydrate, revitalise & plump the skin. 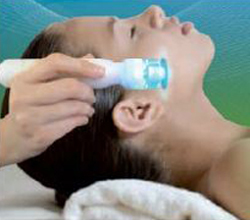 Hydratone combines active microcurrent rollers which restore muscle tone, firmness.